I received few enquiries for a Jiu Hu Char recipe. So, here you are :). Sorry, I didn't have enough time to take a nicer picture. This is my own Jiu Hu Char recipe using prawns instead of the usual Penang style with pork. 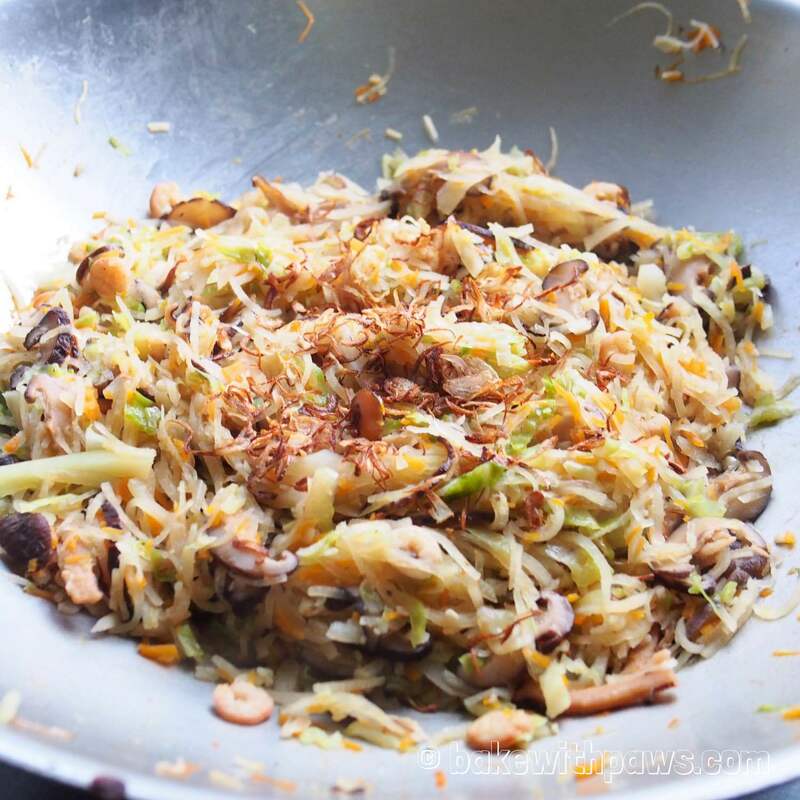 This dish is ideal for the Chinese New Year Reunion Dinner and it is always served at a Penang Hokkien family home. In a wok, heat up the oil. When the oil very hot, add the slices shallot and fry until light brown and crispy. Off the heat and dish out the fried shallots. With the remaining oil, stir fry the garlic until fragrant. Then cuttlefish and fry until begin to pop. Then add in prawn and fry for less than a minute. Add in mushroom, yam bean, cabbage and carrot and stir fry until the vegetable are soft. Then add in water, bring to boil. Lower the heat and simmer until liquid is reduced, around 10 minutes. Season to taste with salt. Sprinkle some fried shallot. It is best serve with sambal belacan and it is great with rice. Sometimes serve as a starter in Chinese lettuce wrap. If you prefer pork you may replace the prawns. Blanch the pork (whole piece) for 5 minutes in boiling water then remove and slice into strips. Reserve the water for cooking the Jiu Hu Char.